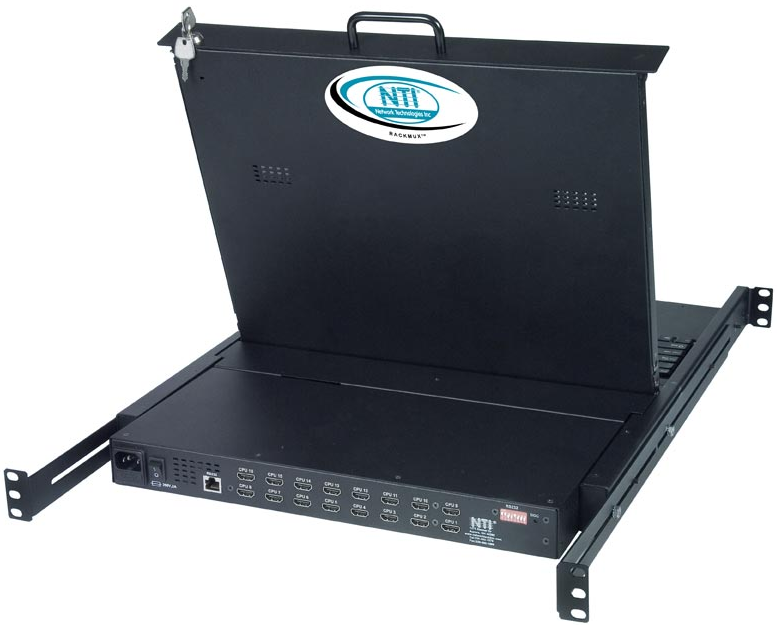 Also known as: Rackmount SUN USB kvm drawer with USB DVI KVM Switch, rack mount keyboard drawer, console drawer, keyboard monitor drawer, KVM drawers, keyboard LCD drawer, rackmount keyboard drawer. 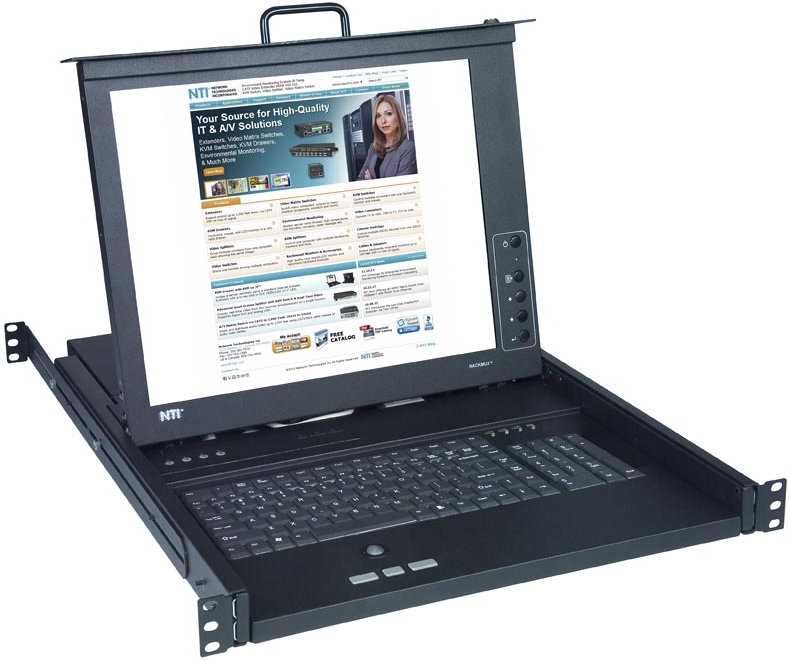 The RACKMUX® DVI SUN USB KVM Drawer with Built-In High Density USB DVI KVM Switch combines a rackmount LCD monitor, SUN USB keyboard, trackball or touchpad mouse, and a USB DVI KVM switch in a space-saving 1RU industrial strength drawer. Available with forward-folding 17" (432 mm) TFT/LCD DVI monitor. Available with a 4-, 8-, or 16-port USB DVI KVM switch. Control up to 16 USB enabled computers with single link DVI outputs. Drawer is adjustable to various rack depths from 22" (559 mm) deep to 39" (991 mm) deep.